It’s always good to get the day off to a great start. Imagine my surprise (and delight) when I read that Cathyrn from Cathryn’s Kitchen had nominated me for a RAKA (Random Acts of Kindness Award). In her blog Cathryn’s kitchen you’ll find delicious and healthy, plant-based, gluten-free recipes. Cathryn’s worked in catering and as a personal chef, as well as feeding her husband and three sons – don’t youngsters always have hollow legs? – so she knows what she’s writing about. Just what is a random act of kindness? 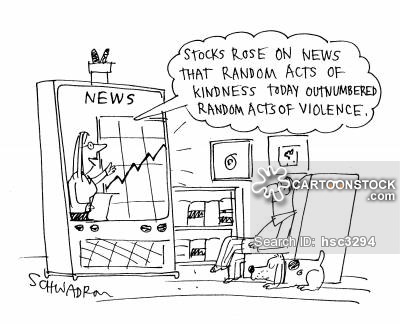 A random act of kindness is a non-premeditated, inconsistent action designed to offer kindness towards the outside world. The phrase “practice random kindness and senseless acts of beauty” was written by Anne Herbert on a placemat in Sausalito, California in 1982. Say who you nominate and why. Copy and share the picture that shows the award. Nominate someone and share it on your own page. Don’t forget to tag or pingback to the original person who nominated you, or the original post. After finding out about the award, my day just got better. When we get up in the morning, I have trained my beloved to go into the kitchen (it’s closer to his bathroom than mine), fill and turn on the coffee maker. That way, by the time we’re both washed and dressed, the coffee’s ready. However, that’s usually his sole contribution to breakfast, but not this morning. This morning he also laid the table. I was shocked but delighted and have already put in a call to The Guinness Book of Records! Regular readers will know that my beloved generally causes me more work, not less. Kindness is the quality of being friendly, generous, and considerate. I’d like to think that I unconsciously try to espouse this each and every day whether it’s something small like lending a hand to a neighbour or just taking time to have a chat with someone to dropping everything to help someone out. Aside from the slightly tongue-in-cheek example above, I’m fortunate to be on the receiving end of many acts of kindness – too many to list. Once again, a big shout out to Cathryn at Cathryn’s Kitchen for the nomination. Please go and check out her blog https://cathrynskitchen.com and wonderful recipes. I would like to nominate the lovely Cheche Winnie https://chechewinnie.wordpress.com who writes passionately about nature conservation and species survival for future generations. I’d also like to nominate A Dude Abikes who’s been riding a bike ever since his car got smashed up in January, 2005. He’s a volunteer with Bike Austin which recently made him an Advocacy Ambassador. Plus, he’s raised loads of dosh with his charity bike rides. He’s hoping to turn his blogging into a living. So why not help him out and visit https://adudeabikes.wordpress.com. Congratulations Sheree, you deserve the nomination for sure.